In new video, British Labour leader acknowledges there is a real problem of anti-Semitism in his party. His statement came in a three-minute video posted on social media on Sunday. “Anyone who denies this has surfaced in our party is clearly actually wrong and contributing to the problem. I acknowledge there is a real problem of anti-Semitism that Labour is working to overcome,” he said. “Jewish people have been at the heart of our party and our movement throughout history. No one should dismiss the concerns they have expressed about what has been happening in the party,” continued Corbyn. 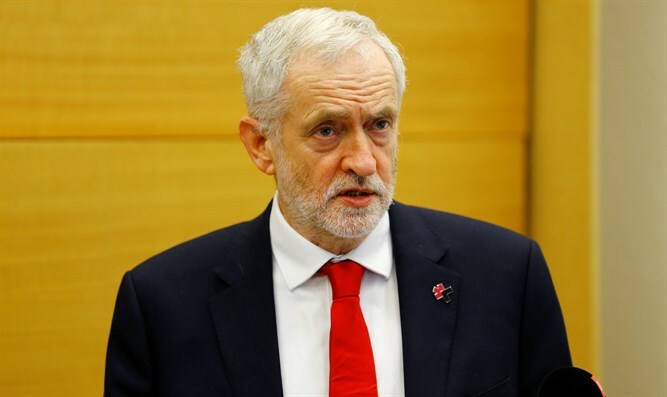 The video comes two days after the Labour leader published an op-ed in The Guardian, in which he acknowledged that the party has “a real problem” when it comes to anti-Semitism, but strongly rejected the idea that it poses any threat to the British Jewish community. Corbyn acknowledged some of the fiercest criticisms of his leadership on the issue, saying that the party must show more empathy, should have reacted more quickly to cases of abuse, and should have done more to consult the Jewish community. Corbyn has maintained that Labour will not tolerate racist rhetoric by its members. However, the party has kept on many Labour members whom Jewish community leaders said engaged in anti-Semitic hate speech.